I can't remember when I first tasted Char Koay Teow. But I do remember those long drives back to Penang to visit my grandparents. It always comes with a visit to my favourite Lorong Selamat Char Koay Teow. That beautiful 'wok hei' (a wonderful smoky taste from high heat frying in a wok) from the charcoal, the balance of pork lard and flavorful sauce..mmm... just awesome. I have loved Char Koay Teow for a lonnnng time. It must be at least more than 15 years. And till this day this love has remained. Unfortunately my favourite Lorong Selamat Char Koay Teow seems to have changed. The taste is not as I remembered. it tastes oilier, the sauce not as memorable. What is Char Koay Teow? Koay Teow itself is simply a flat rice noodle. A direct translation would simply be fried rice noodles. Then what is Penang Char Koay Teow? It differentiates from those in 'tai chows' (Chinese food places that serves restaurant dishes) that are often more wet and leaning to the sweeter side. And most importantly it differentiates from the god awful abomination of Char Koay Teow of those from the South, where a beautiful plate of Char Koay Teow is desecrated by the liberal addition of atrocious sweet sauce. Penang Char Koay Teow had always meant to me a style of frying the Koay Teow with an amazing savory sauce and infusing it with heavenly 'wok hei'. Any home cook who says they can fry a good plate of Penang Char Koay Teow is either a liar or an idiot. 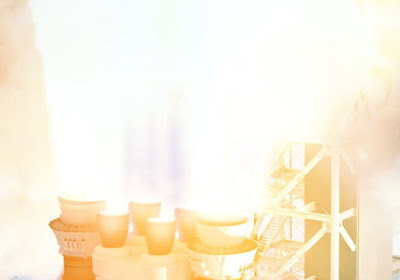 Such 'wok hei' can only be imparted by a seriously powerful stove and is beyond the reach of any normal home kitchen. 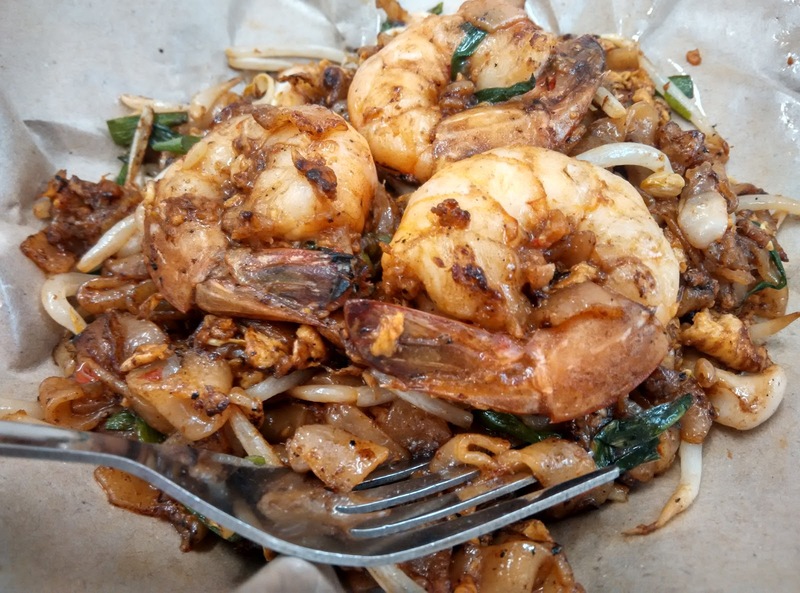 A standard plate of Penang Char Koay Teow is often accompanied by prawns, cockles, garlic, kuchai and bean sprouts. Often these flavors are then further improved with the addition of pork lard, 'lap cheong' (Chinese sausages) and charcoal fire. In my opinion pork lard not only brings an extra wonderful taste, it also allows the Koay Teow to be fried at higher temperatures as pork lard handles heat well. 'Lap cheong' adds a nice meaty sweetness. And of course charcoal adds a smoky aroma. It was to my surprise that some people actually also consider the color of the Koay Teow as an indication of Penang Char Koay Teow. According to them Penang Char Koay Teow should be a whiter shade. That was news to me ( because I'm not racist? :P ), I had no idea about this because I know the sauce is different for each stall and I do not see why it should not be called Penang Char Koay Teow simply because the sauce color is dark. I have also tasted very awesome pork-free Char Koay Teow, so I consider these criterias : color, pork lard, 'lap cheong' and charcoal fire, as enhancements but not defining attributes. I would happily refer to any with great 'wok hei' and amazing savory sauce as Penang Char Koay Teow. What is the ultimate Penang Char Koay Teow? Where can I find it? I thought I found it in Lorong Selamat Penang, but it is no longer. In recent memory it has failed to live up to expectations. Where then is the ultimate Penang Char Koay Teow now? Ah Leng at Dato Keramat? Siam Road? Have I lost the ability to taste the ultimate Penang Char Koay Teow or have my tastes evolved to another level? I do not know, but what I do know is I will not stop looking. If no one can make the Ultimate Penang Char Koay Teow then maybe, just maybe... I will? Porcini : King of Mushrooms?